I really enjoy traveling in Japan, because mostly it is pretty easy to get around and you can reach nearly everywhere by train – at least if you are on the main islands of Japan and are interested in the touristy spots. 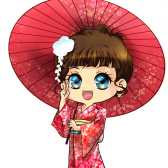 When planning our trip to Okinawa, I already heard from some friends that the public transportation is not the best. I didn’t worry too much at the beginning, but ended up quite frustrated when we have been there just a few weeks ago. In Okinawa there is only one train line: the YuiRail – a monorail which is operating in the center of Naha City, the capital of Okinawa. It starts at Naha Airport, going along the shopping street Kokusaidori and ending close to Shuri Castle. This makes it about 13 km in length with 15 stations. That is all. For the rest of Okinawa you have only one more choice of public transportation: the bus network. For sure, this covers many areas of the main island, but because of this it already comes up with the first problem, for me – there are actually too many bus lines such that it makes finding the right bus very complicated. At least our hotel was not so far away from the Naha Bus Terminal, but when we went there the first day to check our bus time table for the next morning, I was suddenly stood in front of a chart with around 150 bus numbers for buses all going in different directions from several different bus stops around the bus terminal (which is a big construction site by itself at the moment). 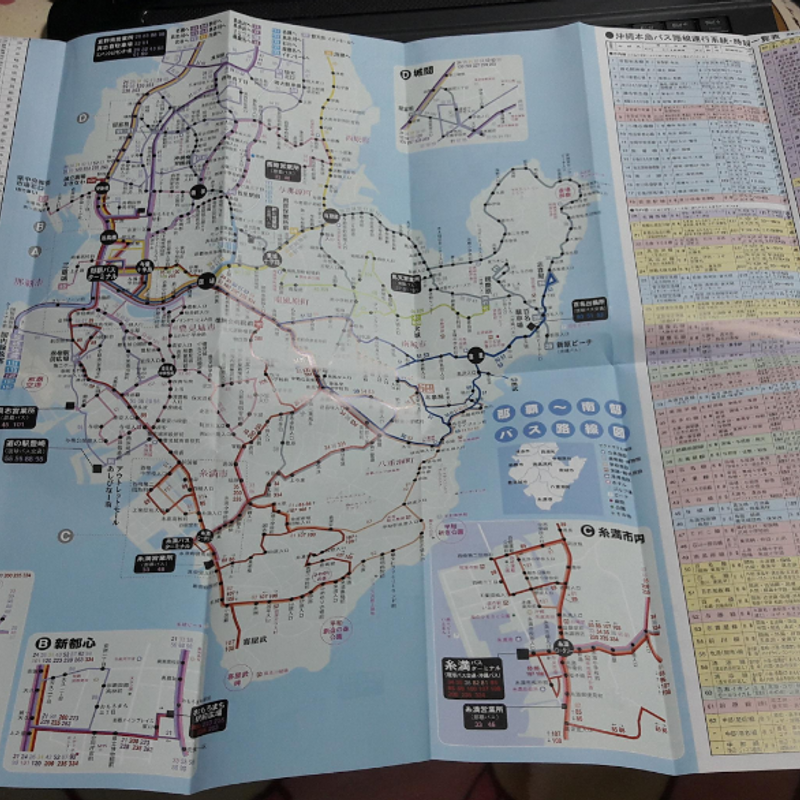 I picked up the Okinawa Bus Routemap to understand the structures of the lines a bit more, ending up with a map of Okinawa with many colorful lines and numbers. Probably, when you are in Tokyo for the first time and take a look at the train map, you will be as confused as I have been with the Okinawa buses – and might get used to it while spending time there. But yes, if you are a tourist, you don’t have the time to get used to it, because you are usually only there for a few days. Btw, for traveling around in Japan and for checking train and bus time tables I normally use the Google Maps App. The big problem was that Google Maps doesn’t know the Okinawa bus lines, either. The data is not saved and so Google Maps was pretty useless – at least for finding the right bus. We ended up at the Bus Information Center there we got some papers with time tables for out destinations and the staff tried to explain to us where all the different bus stops around the bus terminal are. So far, it felt good. Our plan for the next day was to go to Okinawa World, back to the bus terminal and then to Shuri Castle. With the time table we knew the bus for Okinawa World goes roughly once per hour – and it takes around one hour. When we were back at the bus terminal we waited for the bus going to Shuri Castle – according to the time table there were different stops to go and since we missed one bus, because our bus back from Okinawa World was late, we decided to wait around 15 minutes for the next. 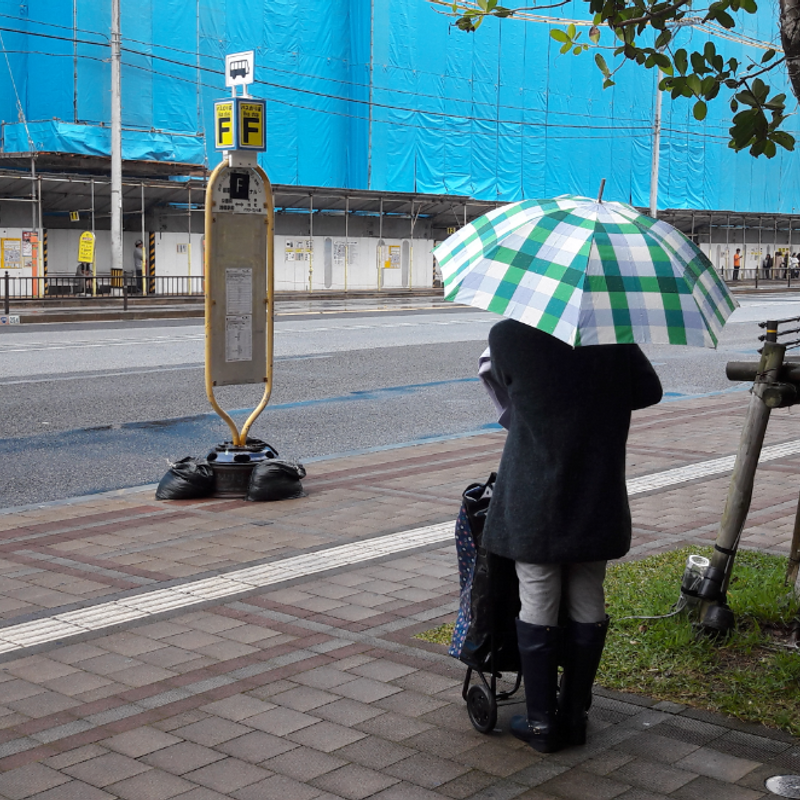 When this arrived, it was late by a further 10 minutes, the bus driver told us we should use another bus… Another 20 minutes of waiting – and when the bus finally arrived it took about 45 mins to go to Shuri Castle because of the traffic. To sum up: it took us nearly three hours (!!) to make the around 20 km between both attractions… and we needed to hurry because you know, most attractions in Japan close around 5 to 6 pm. We had quite similar experiences the next day when we tried to do several spots by bus again. 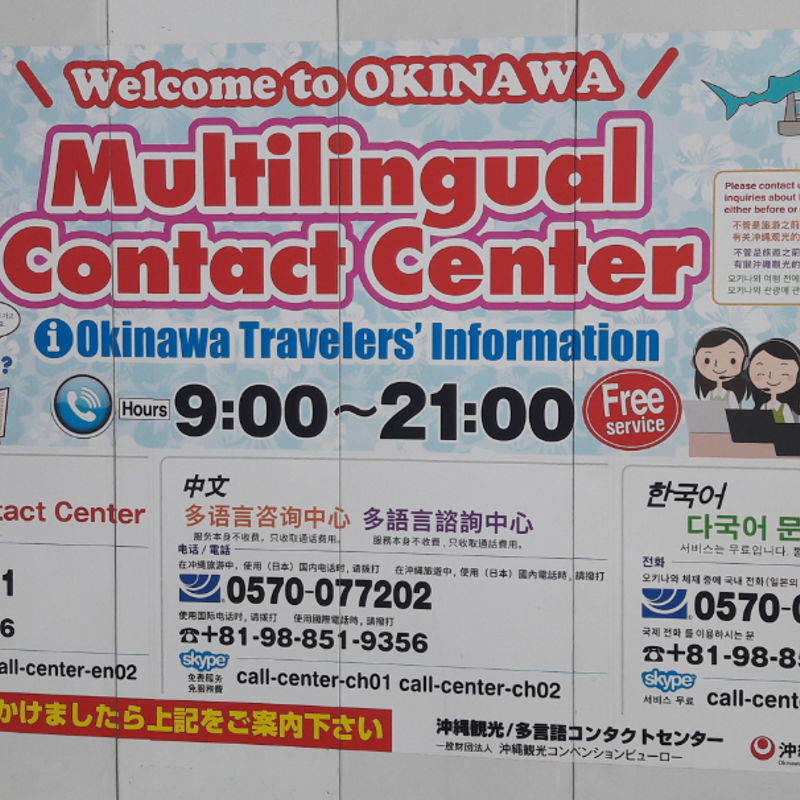 So, if you are going to explore Okinawa by bus, prepare yourself and try to collect as much information as you can in regards to time tables, bus stops and so on. Plan your daily spots close by each other, so you don’t have to go long distances in between, and also calculate in traffic delays.